Is fruit more nutritious when it’s ripe? The nutritional content of fruits (including those fruits we think of as vegetables) absolutely changes as the fruit ripens. Whether you would consider it more or less nutritious might depend on your definition, though! Green bananas and mangoes, in particular, contain a lot of resistant starch, which is not digested in our intestines–at least, not by us. Although our bodies don’t get any nutrition from resistant starch, it does provide a valuable food source for beneficial bacteria in the gut. As these fruit ripen, more of these starches are converted to sugar. Even though they are technically less “nutritious,” eating your bananas a little on the green side might have advantages! See also : What are Resistant Starches? The level of most minerals doesn’t change very much as fruit ripens. 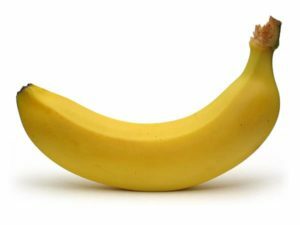 So the amount of potassium in a green banana is likely to be the same as in a ripe one. Antioxidants, on the other hand, tend to increase as fruit ripens. 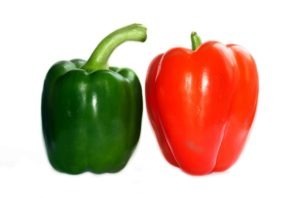 The vitamin C content of a red (i.e., ripe) bell pepper is 50% higher than that of a green bell pepper, while the vitamin A content is almost 10 times higher . Finally, remember that there are lots of other factors that also affect the levels of nutrients in your produce, including the cultivar or strain, the soil composition, growing conditions, and how it is stored after it is harvested. See also: What’s the Most Nutritious Way to Eat Your Vegetables? Can an anti-inflammatory diet ease aches and pains? What’s the optimal timing for meals and exercise?